Summer is well and truly here, and for many, we look to escaping the city heat and spending time by the water. After all, spending time away in the summer is what we look forward to all year, right? 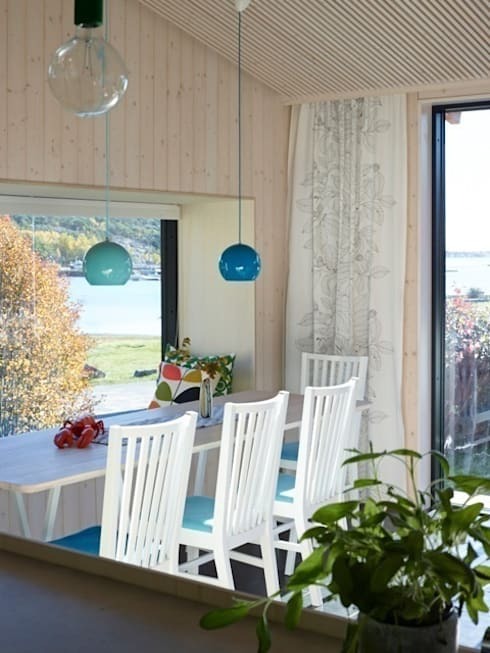 In Norway, summertime is all about retreating to the numerous fjords, to spend time in summer houses that line the shores of the inlets that make this one of the most naturally beautiful parts of the world. London-based studio Collective Works were commissioned to design this summer house that sits on the on the banks of the Oslo fjord, that runs from the North Sea up the Norwegian capital. 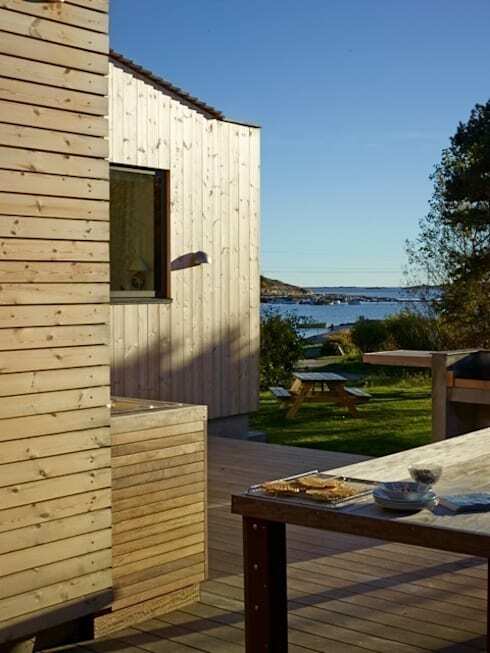 The quintessentially Scandinavian summer cabin sits on the footprint of a now demolished cabin, retaining the look and feel of the original structure by remaining the same size, only modernised. Read on to briefly escape the heat and escape to the breezy shores of Norway's famed fjords. Building in this environmentally delicate part of the world has long been closely controlled and limited by local planning authorities, which proved to be the main challenge for the architects. The home was required to be built no bigger than the original cabin, whilst still adhering to the owners need for a house that is functional and liveable. 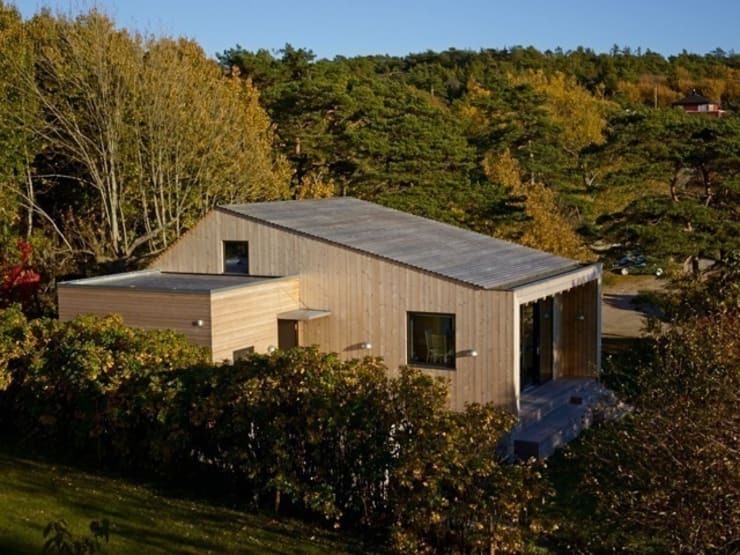 Initially the shape of the summer house may not look all that anomalous, but its shrewd design sets it apart from many of the other cabins that line the shores of the Oslo fjord. The roof ridge has been turned to sit parallel with the contour lines of the shore, which then creates an asymmetrical roof shape. 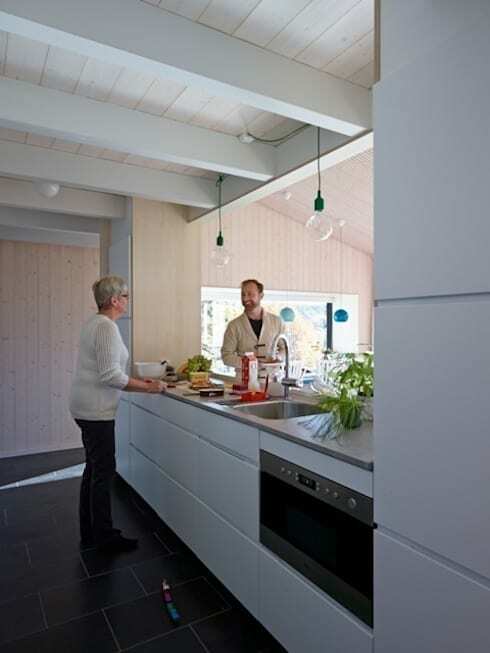 This off-centre pitch of the roof opens up the internal spaces to be optimised for the side of the home that opens up onto the shoreline of the fjord. Up close, we see the detail of the timber cladding that envelopes the house; its light finish reminiscent of a Scandinavian sauna or steam room. 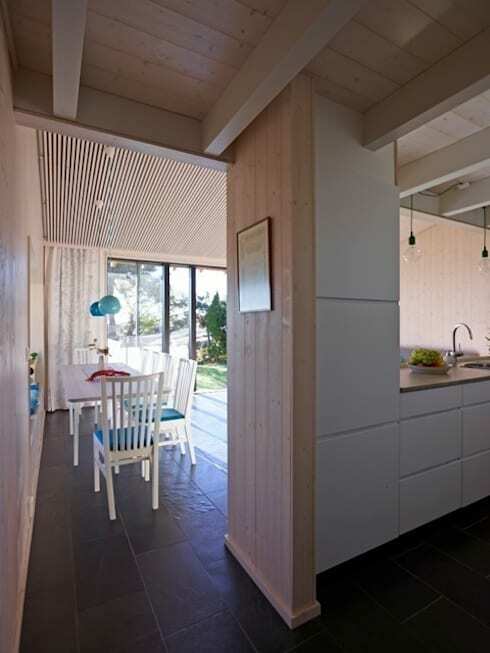 A uniform timber patio hugs this corner of the cabin, as we can see just how close this home is to the shore. The interior of the home is light and breezy, and also uses timber cladding to great effect. Whilst you may envision homes that are timber both inside and out to belong only in the snow, this is a perfect example of a summer chalet. The interior scheme is typically Sacandinavian, featuring light timber tones and white, in a space that is both beautiful and highly functional. 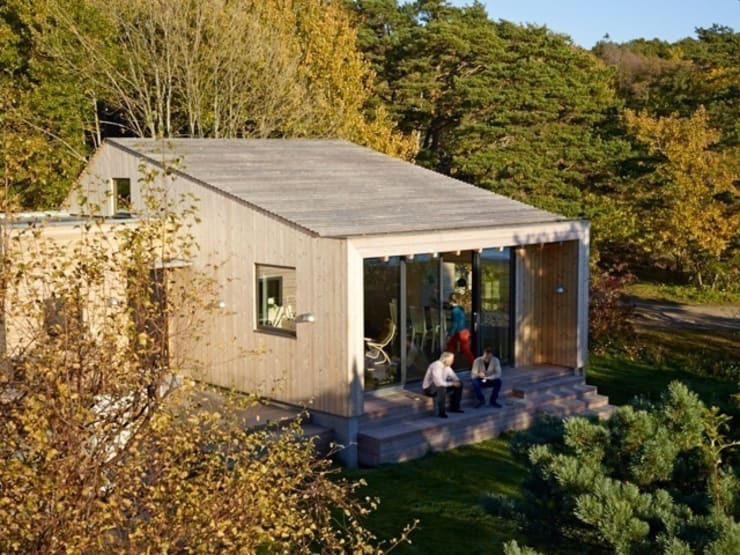 The intelligent design of the cabin led to not only it being approved by the local planning authorities, but also to be highly commended for its relationship to the landscape and its surroundings. The summery ambience is heightened by the design that is open to nature, and uses soft tones of blue to dress up the space. The Scandinavian style kitchen is fitting to the picturesque Norwegian rural retreat, whose simple design is practical and sleek. Scandinavian minimal design can be seen with the absence of any protrusions on the cabinetry, and the minimal lighting above. The blue accents continue throughout the house, including the bathroom. 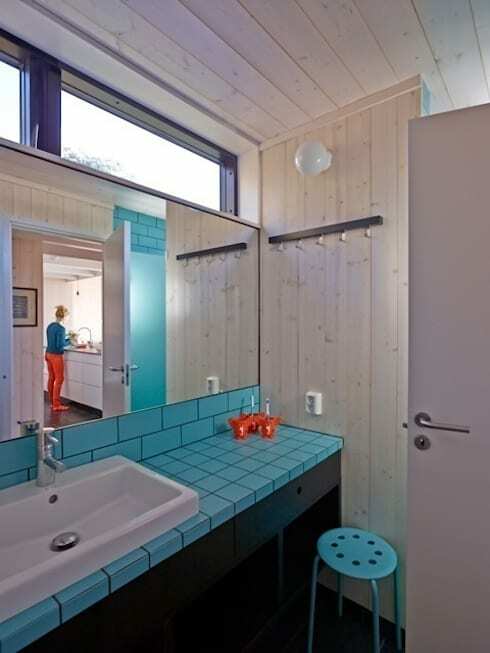 Blue tiles have been used to great visual effect in the small but practical bathroom, where a full-length mirror dons the wall to add an air of space. To see more shrewdly design small houses, check out this house to-go. Where was the best summer holiday you had? Let us know in the comments.